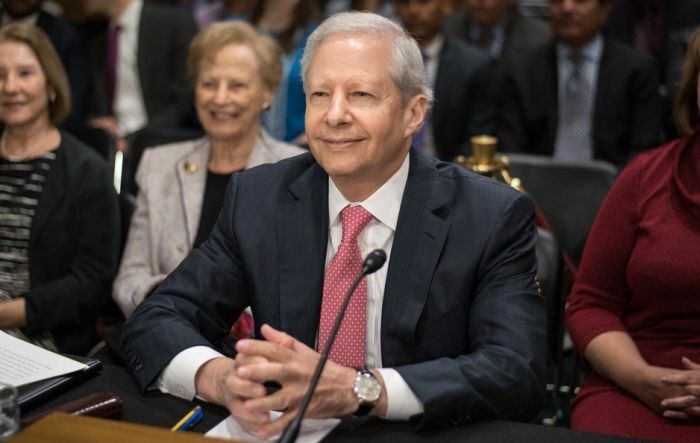 The Senate on Friday confirmed by a voice vote the nomination of Kenneth Juster as the next United States ambassador to India. Juster, 62, is an old India hand who played a key role in the landmark Indo-US civil nuclear deal. He would replace Richard Verma as the top American diplomat to India. The position has been lying vacant since January 20 after Verma resigned from the post with the swearing in of Donald Trump as the 45th President of the United States. The latest development follows Juster's nomination confirmation which was on last Friday agreed by the powerful Senate Foreign Relations Committee by a voice vote, reflecting the bipartisan support his nomination has in the Congress. Juster is soon expected to be headed to India for the Global Entrepreneurship Summit in Hyderabad later this month. The annual summit is being co-hosted by India and the US. Trump's senior adviser and daughter Ivanka Trump will be leading a high-powered American delegation of entrepreneurs to the GES, which will be inaugurated by Prime Minister Narendra Modi. Powerful Democratic Senator Mark Warner welcomed the Senate confirmation of Juster. "I was proud to support Ken's nomination to be our country's representative in India, one of our most important defence partners in the region," he said. "I have known Ken since we were in law school in the 1970s. As Ambassador, I trust his decades of work on critical issues like trade, cybersecurity and defence will help advance the US-India relationship in a positive direction," Warner said. Juster was nominated to be the Ambassador to India on September 5. He has over 35 years of experience as a senior business executive, senior law partner, and senior government official, including serving as the US Under Secretary of Commerce from 2001 to 2005. Juster founded and served as the US Chair of the US-India High Technology Cooperation Group, and was one of the key architects of the Next Steps in Strategic Partnership initiative between the United States and India. His work related to India played an important role in the transformation of the US-India relationship and helped provide the foundation for the historic civil nuclear agreement between the two countries. Most recently, Juster had served as the Deputy Assistant to the President for International Economic Affairs and Deputy Director of the National Economic Council. Juster played a key role in enhancing the Indo-US ties under the Bush administration. Juster has also served as the Counsellor (acting) of the State Department from 1992-1993, and deputy and senior adviser to the Deputy Secretary of State from 1989-1992. In the private sector, he has been a partner at the investment firm Warburg Pincus LLC, executive vice president at Salesforce.com, and senior partner at the law firm Arnold & Porter. He has also served as Chairman of Harvard University's Weatherhead Center for International Affairs, and as vice chairman of The Asia Foundation. Juster holds a law degree from the Harvard Law School, a masters degree in Public Policy from the John F Kennedy School of Government at Harvard, and a bachelors degree in Government from Harvard College.